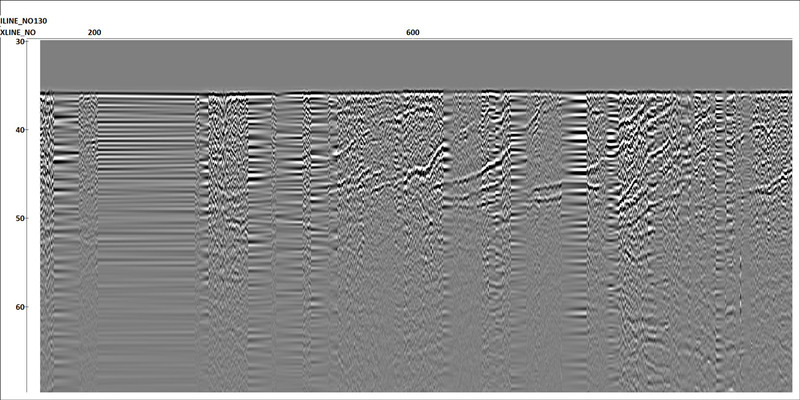 RadExPro seismic software is fully capable for both single–channel and multi–channel HR/UHR marine seismic processing, either 2D or 3D. It is compatible with any type of marine sources: airgun, sparker, boomer, etc. Advanced denoising, high–resolution offshore statics, designature (automatic wavelet estimation, deghosting, debubbling, deconvolutions), efficient demultiple algorythms for multi–channel (SRME) and even single–channel data (Zero–Offset Multiple Attenuation), 3D regularization, pre–stack and post–stack migrations—all these algorithms are available in RadExPro and are capable of improving the quality of the processing result significantly. An experienced processor would particularly enjoy the outstanding flexibility of the software allowing even the most sophisticated processing scenarios to be easily implemented in the modern user–friendly interface—for only a fraction of the price of any big seismic processing system on the market. Using batch mode, you can easily process dozens or even hundreds of lines with the same flow. You can be confident of delivering results in time and meeting tough deadlines. 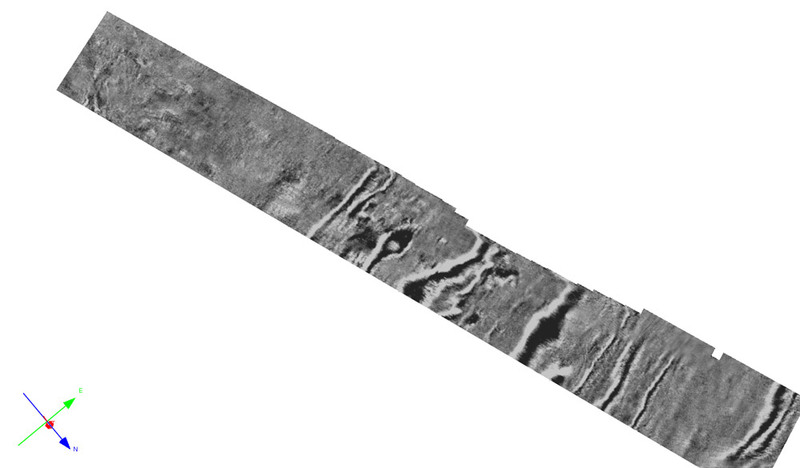 Ultra–high resolution (up to 3000 Hz) data, acquired with a sparker source, water depth 2–5 meters. 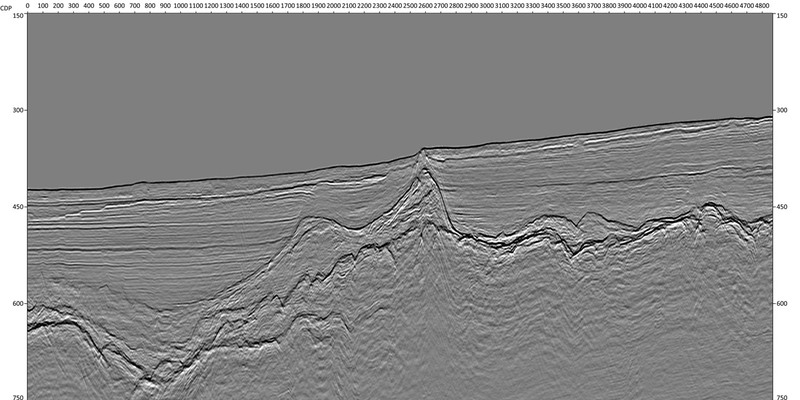 CDP interval is 1 m.
Processing was carried in RadExPro seismic software by GeoSurveys. 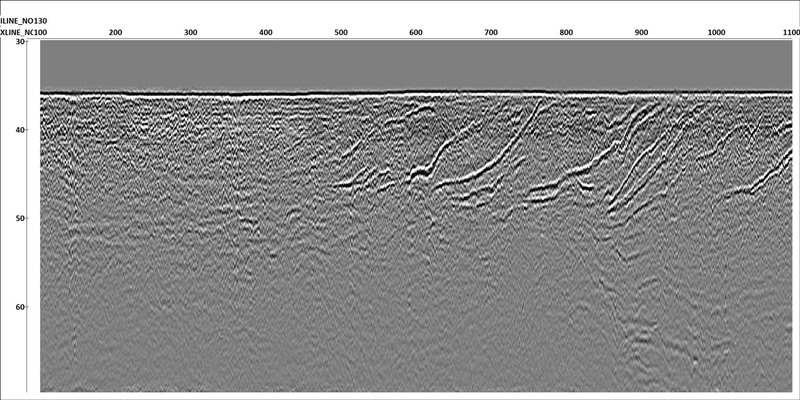 Processing of small volume (40 in3) airgun seismic data, acquired in the Barent Sea. Data courtesy of Tromsø University. 3D regularization is dedicated for interpolating 3D seismic data by common offsets on the regular grid. Algorithm is based on wavefield reconstruction in F–Kx–Ky domain. RadExPro has become our preferred processing software for 2D & 3D sparker multichannel data (UHRS) since the early of 2015. The reasons being that it has the full suite of processing modules for the complete processing of our UHRS data; it is the only software in the market with the database management and processing tools to resolve source and receiver motion with the vertical accuracy we require; and lastly but not the least, DECO Geophysical has always provided prompt support and has strived to meet our needs for new software tools and features. We use RadExPro for processing of high–resolution marine seismic data. RadExPro is solid and gives you complete freedom to work on the data. The software brings our, considered simple, single channel data to a whole new level for QCing and processing.